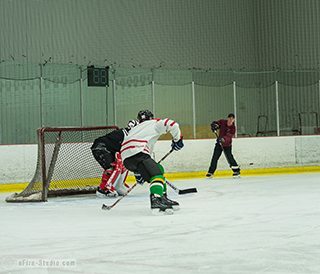 One of our hockey clinics in Ottawa, ON is called “Skills Drills” and offers players the opportunity to reinforce their puck and skating skills in a fast-paced practice environment. 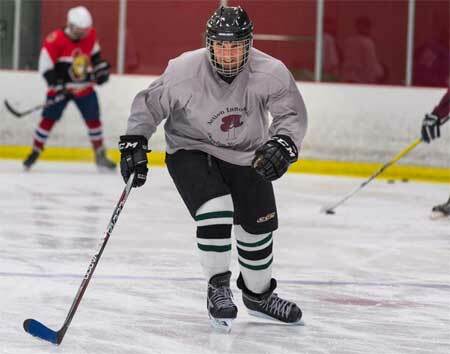 Learn more about skating fundamentals as part of our hockey & skating programs in Ottawa, ON. Our programs are perfect for the hockey lover in your life! The sport of hockey is about a lot more than just getting the puck into the net. Action Innovation helps players build the discipline and dedication necessary to optimize individual skills, combined with the training and conditioning required to realize personal goals and potential. 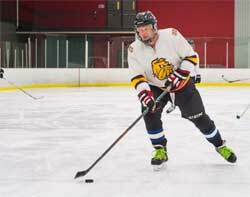 We work with a wide spectrum of athletes from recreational adult players to ambitious promising youths and our team of highly trained hockey instructors and personal trainers understand what it takes to motivate each athlete and refine their skills to achieve their objectives. In addition to our posted clinics, we provide customized one on one, small group and large group programs. Contact us today to determine if Action Innovation is right for you! I keep coming back because I find the workshops very useful. The extra ice time helps me feel more confident in games and my teammates have noticed. The first 3 games back, I won MVP each game. I really like your program. you have a very good instructor/student ratio and Your instructors are all great. I was happy to see my own improvement from each session. It’s great that you commit to offering this type of course. Thanks so much. Thanks for an excellent clinic Paul. I feel that I have improved my puck skills. Click here to fill out our registration form! 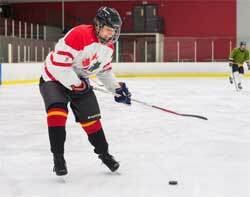 We provide a wide range of Hockey Training & Courses for customers in Ottawa, Gatineau, Gloucester, Kanata, Metcalfe, Nepean, Orleans, and Stittsville.